Kazanç yönetimi iş dünyasında en fazla tartışılan konular arasındadır. Kazançların değer ilgililiği kazanç yönetiminden olumsuz olarak etkilenmektedir. Bu çalışmanın amacı, denetim kalitesi ve kazanç yönetimi arasındaki ilişkiyi Borsa İstanbul’a kote olan şirketler açısından analiz etmektir. Denetim kalitesi ve kazanç yönetimi arasındaki ilişki sıradan en küçük kareler yöntemi kullanılarak analiz edilmektedir. 2013-2018 yıllarını kapsayan ve Borsa İstanbul’a kote olan 97 reel sektör firmasının verilerinden yararlanarak denetim kalitesinin üç göstergesi (denetçi bağımsızlığı, denetçinin sektörel uzmanlığı ve denetim firmasının müşteri firmaya hizmet süresi) sıradan en küçük kareler yöntemi kullanılarak analiz edilmektedir. Sıradan en küçük kareler yönteminin sonuçlarına göre; denetçi bağımsızlığı ve denetçinin sektörel uzmanlığı kazanç yönetimini önemli derecede azaltmaktadır ve denetim firması ile müşteri firma arasındaki uzun süreli ilişki, müşteri firmanın daha yoğun bir şekilde kazanç yönetimini uygulamasına yol açmaktadır. Bunlara ek olarak, bağımsız denetiminin kalitesinin yüksek olması firmaların kazanç yönetimi uygulamalarını önemli derecede azaltmaktadır. Earnings management is one of the controversial issues in the current business environment. The value relevance of earnings is adversely influenced by earnings management. The objective of this study is to analyze the association between audit quality and earnings management for non-financial firms quoted on Borsa Istanbul. Ordinary least square regression analysis is employed in this study in analyzing the association between earnings management and audit quality. Three different proxies for audit quality (auditor independence, audit industry specialization and auditor tenure) were analyzed based on a sample of 97 non-financial firms quoted on Borsa Istanbul from 2013 to 2018. Empirical analysis indicates that auditor independence and audit industry specialization are significantly negatively related with likelihood of earnings management and long-term auditor and client relationship enables the management of firms to more actively engage in earnings management. This paper finds support for the notion that the high-quality audit is one of the prominent factors that can mitigate earnings management practices. Ahn, S., & Choi, W. (2009). The Role of Bank Monitoring in Corporate Governance: Evidence from Borrowers’ Earnings Management Behaviour. Journal of Banking & Finance, 33(2), 425-434. Antle, R. (1984). Auditor Independence. Journal of Accounting Research, 22 (1), 1-20. Ashbaugh, H., LaFond, R., & Mayhew, B. W. (2003). Do Non-Audit Services Compromise Auditor Independence? Further Evidence. The Accounting Review, 78(3), 611-639. Balsam, S., Krishnan, J., & Yang, J. S. (2003). Auditor Industry Specialization and Earnings Quality. Auditing: A Journal of Practice & Theory, 22(2), 71-97. Beattie, v., Brandt, R. & Fearnley, S. (1999). Perceptions of Auditor Independence: UK Evidence. Journal of International Accounting, Auditing and Taxation, 8(1), 67-107. Beck, P. J., Frecka, T. J., & Solomon, I. (1988). An Empirical Analysis of the Relationship Between MAS Involvement and Auditor Tenure: Implications for Auditor Independence. Journal of Accounting Literature, 7(1), 65-84. Chen, K. Y., Lin, K. L., & Zhou, J. (2005). Audit Quality and Earnings Management for Taiwan IPO firms. Managerial Auditing Journal, 20(1), 86-104. Craswell, A. T., Francis, J. R., & Taylor, S. L. (1995). Auditor Brand Name Reputations and Industry Specializations. Journal of Accounting and Economics, 20(3), 297-322. Davis, L. R., B. Soo, and G. Trompeter. (2002). Auditor Tenure, Auditor Independence and Earnings Management. Working Paper, Boston College, Boston. DeAngelo, L. E. (1981). Auditor Size and Audit Quality. Journal of Accounting and Economics, 3(3), 183-199. Dechow, P. M., & Skinner, D. J. (2000). Earnings Management: Reconciling the Views Of Accounting Academics, Practitioners, and Regulators. Accounting Horizons, 14(2), 235-250. DeFond, M. L., & Park, C. W. (1997). Smoothing Income in Anticipation of Future Earnings. Journal of Accounting and Economics, 23(2), 115-139. DeFond, M. L., & Jiambalvo, J. (1994). Debt Covenant Violation and Manipulation of Accruals. Journal of Accounting and Economics, 17(1-2), 145-176. Dunn, K. A., & Mayhew, B. W. (2004). Audit Firm Industry Specialization and Client Disclosure Quality. Review of Accounting Studies, 9(1), 35-58. Gerayli, M. S., Yanesari, A. M., & Ma’atoofi, A. R. (2011). Impact of Audit Quality on Earnings Management: Evidence from Iran. 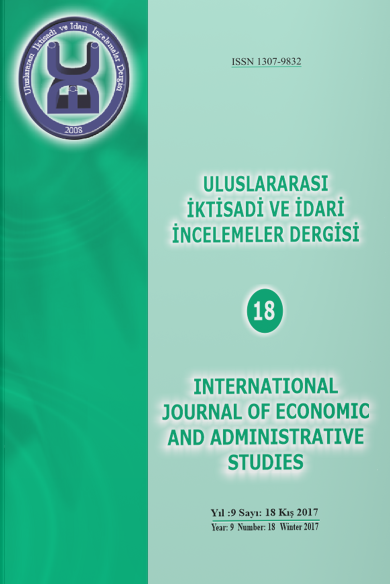 International Research Journal of Finance and Economics, 66(1), 77-84. Ghosh, A., & Moon, D. (2005). Auditor Tenure and Perceptions of Audit Quality. The Accounting Review, 80(2), 585-612. Gill G, and Cosserat G.. (1996). Modern Auditing in Australia, Fourth Edition Wiley and Sons Australia. Gujarati, D. (2003). Basic Econometrics (4th ed.). New York: McGraw Hill. Gul, F. A., Chen, C. J., & Tsui, J. S. (2003). Discretionary Accounting Accruals, Managers' Incentives, and Audit Fees. Contemporary Accounting Research, 20(3), 441-464. Gul, F. A., Fung, S. Y. K., & Jaggi, B. (2009). Earnings Quality: Some Evidence on the Role of Auditor Tenure and Auditors’ Industry Expertise. Journal of Accounting and Economics, 47(3), 265-287. Habbash, M. (2010). The Effectiveness of Corporate Governance and External Audit on Constraining Earnings Management Practice in the UK (Doctoral dissertation, Durham University). Habbash, M., & Alghamdi, S. (2017). Audit Quality and Earnings Management in Less Developed Economies: The Case of Saudi Arabia. Journal of Management & Governance, 21(2), 351-373. Hodge, F. D. (2003). Investors' Perceptions of Earnings Quality, Auditor Independence, and the Usefulness of Audited Financial Information. Accounting Horizons, 17, 37-48. Houghton, K., & Jubb, C. (2003). Market Competition and Auditor Independence. Agenda: A Journal of Policy Analysis and Reform, 10(3), 213-228. Hunton, J. E., Libby, R., & Mazza, C. L. (2006). Financial Reporting Transparency and Earnings Management. The Accounting Review, 81(1), 135-157. Kao, L., & Chen, A. (2004). The effects of board characteristics on earnings management. Corporate Ownership & Control, 1(3), 96-107. Krishnan, G. V. (2003). Audit Quality and the Pricing of Discretionary Accruals. Auditing: A Journal of Practice & Theory, 22(1), 109-126. Lin, J. W., Li, J. F., & Yang, J. S. (2006). The Effect of Audit Committee Performance on Earnings Quality. Managerial Auditing Journal, 21(9), 921-933. Magee, R. P., & Tseng, M. C. (1990). Audit pricing and independence. Accounting Review, 65(2), 315-336. Mansi, S. A., Maxwell, W. F., & Miller, D. P. (2004). Does Auditor Quality and Tenure Matter to Investors? Evidence from the Bond Market. Journal of Accounting Research, 42(4), 755-793. Sweeney, A. P. (1994). Debt-Covenant Violations and Managers' Accounting Responses. Journal of Accounting and Economics, 17(3), 281-308. Tepalagul, N., & Lin, L. (2015). Auditor Independence and Audit Quality: A Literature Review. Journal of Accounting, Auditing & Finance, 30(1), 101-121. Zhou, J., & Elder, R. (2001). Audit Firm Size, Industry Specialization and Earnings Management by Initial Public Offering Firms. Working paper, State University of New York at Binghamton.